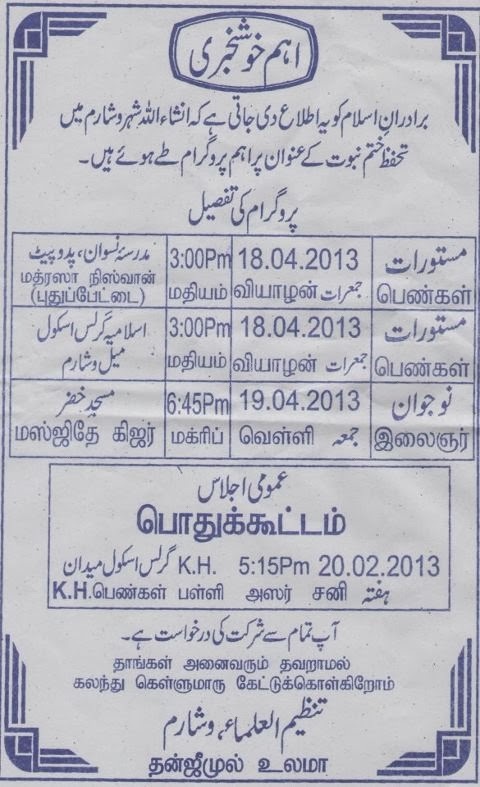 There is a Bayan in Melvisharam on 18th and 19th of this month March 2014 and I wanted to share the info with you so that you can make a post of it in Melvisharam website. I am also attaching a poster of it with this mail and hopeful that the post will be published asap. Note: The date in pamphlet and as in above the message seems conflicting. Individuals, please verify the same.